1. "I DON'T DO CAMPING"
Okay, granted you’re going to be camping, it’s a given, but that needn’t be a reason to stay on the sofa all summer. 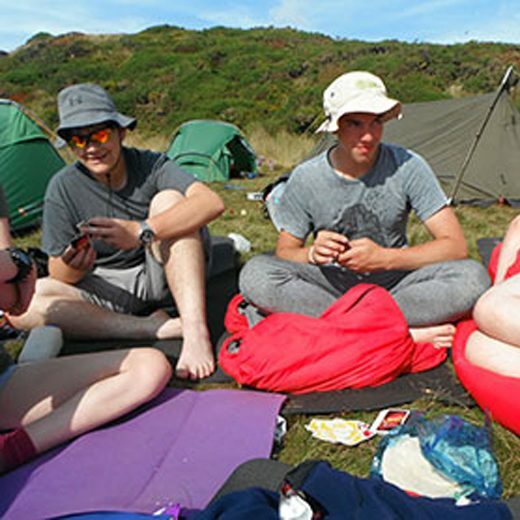 Outward Bound has a habit of attracting a mix of different people, from those who can pitch a tent blindfolded to those who’ve never spent a night away from home – never mind in a tent. But that’s part of the magic, the pros help the novices and everyone ‘pitches’ in to help each other. Here at Outward Bound we have a saying: “home is where you pitch your tent” – a sentiment that makes the most sense when you’re sat around a stove with your mates on a warm summer's evening, on the final night of your expedition – then you’ll get it. 2. "I WON'T KNOW ANYONE"
Yep, this is a biggie and we totally get why. Going anywhere on your own can be nerve racking, let alone rocking up to an outdoor centre full of folk you’ve never met before. Sure, you’ll have to take a leap of faith but it’s totally worth it! It never takes long to make new friends because of the situations you’re placed in, for some reason it just seems easier when you’re paddling a canoe with someone new. And with less screen time and more green time, you’ll find yourself chatting away to new-found friends quicker than ever. Still not convinced? You can always bring a friend! 3. "I CAN'T LIVE WITHOUT THE INTERNET"
Aaah c’mon now, don't be so dramatic, you’ll be fine. 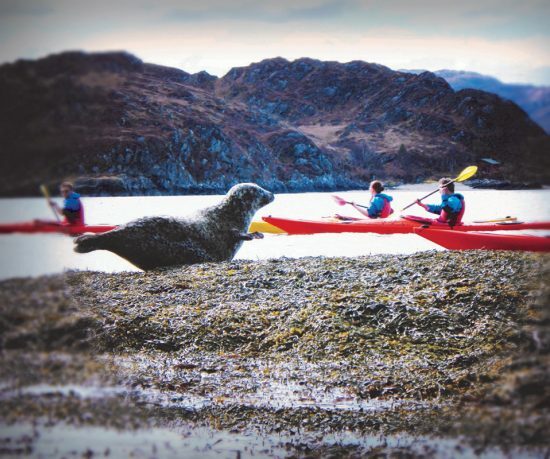 Going Outward Bound is about stepping outside your comfort zone and trying new things. A summer adventure is the perfect opportunity to unplug yourself from the wider world and give time to what really matters – you and your life – not scrolling through someone else’s. We know it can be a tall order asking a bunch of young people to Put. The. Phone. Down. but you’ll get used to it. Sure, the odd WhatsApp, Snapchat and Tweet still sneak out during down-time in the evenings but you’ll often be too busy to even check your phone. You CAN do it – and you’ll feel way better for it as well. 4. "I'VE ALREADY DONE NCS/DOFE/PGL ETC." You ain’t seen nothing yet! 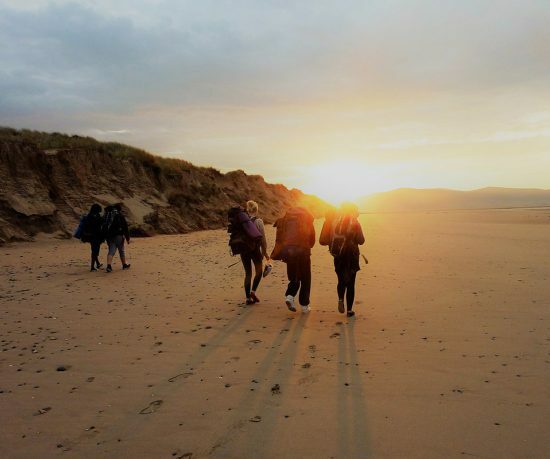 An Outward Bound summer adventure will challenge and surprise you in ways you’ve never expected, especially if you’re embarking on one of our more challenging 19-day programmes like the Skills for Life Award. 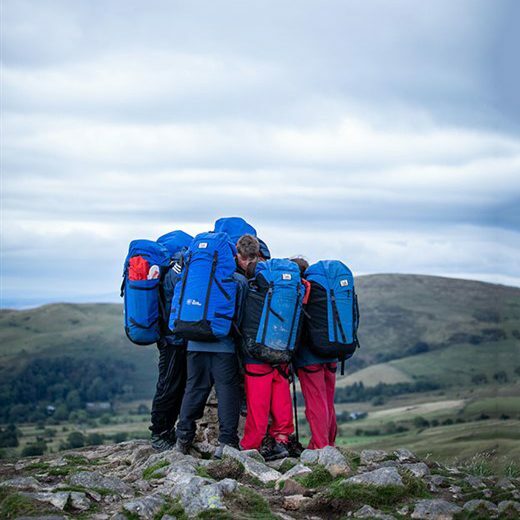 You’ll become part of something very special, an exclusive club of Outward Bound alumni with your own story to tell; making those all important uni, apprenticeship or job applications stand out from the rest. 5. "YOUR CENTRES ARE A MILLION MILES FROM ME"
Err that’s kind of the point! You can’t do what we do by just nipping down to the local park or popping your tent up in a field. 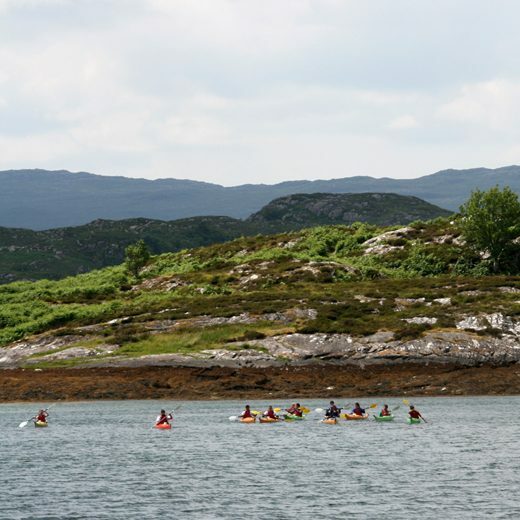 Going Outward Bound requires the wilderness, which is why our centres are set in awe-inspiring locations; close to lochs, lakes, the sea and, of course, the mountains. Besides, we also offer a free (return) coach transfer service so if you can get yourself to Glasgow, Penrith, Manchester or Birmingham you can rest easy that we’ll get you the rest of the way. 6. "I'LL MISS MY FRIENDS AND FAMILY (OR EXAM RESULTS)"
Don't worry, you’ll make more friends, and as any Outward Bounder will tell you, your group will soon become your family! We know it can be hard saying goodbye, so whether you’re away for 1 week or 19 days, we always have someone on hand for you to talk to. From your dedicated instructor who’ll mentor you day-to-day, to the duty instructor who looks after you in the evenings, and your team mates who’ll be there for you throughout. Each of our centres also have free WiFi and a landline, if you need to make or receive any important (or exam related) phone calls from home. Yeah, we get this from time to time. The best way to think of our price is like an elephant (cue Outward Bound instructor analogy): “How do you eat an elephant? One bite at time”. Our prices are just the same and can be paid with an initial deposit and then in bitesize chunks over many months. What’s more is that we’ve also got this thing called THE ADVENTURE FUND, a huge pot of money that we set aside every year to help those where funding may be a barrier. Based on your appetite for Adventure (not elephants), the Fund awards applicants with up to 50% of the cost towards any of our summer adventures. Did we change your mind? Why not check out what's on offer for this summer? View our adventures here. Looking for a new spot for your next school residential?